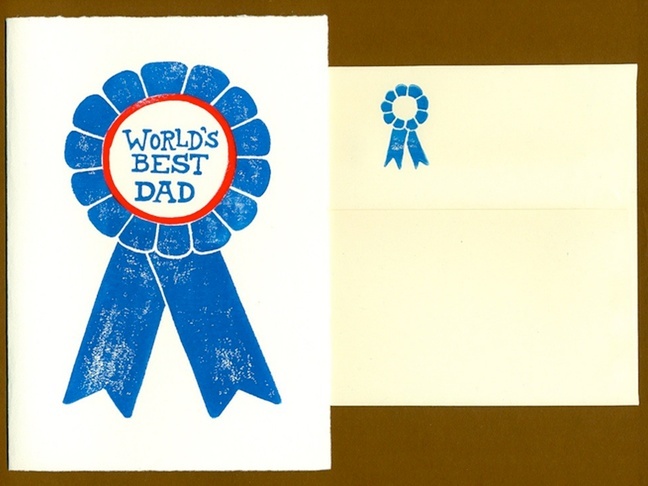 Okay, so you're a bit behind the ball if you haven't picked up a Father's Day card yet. 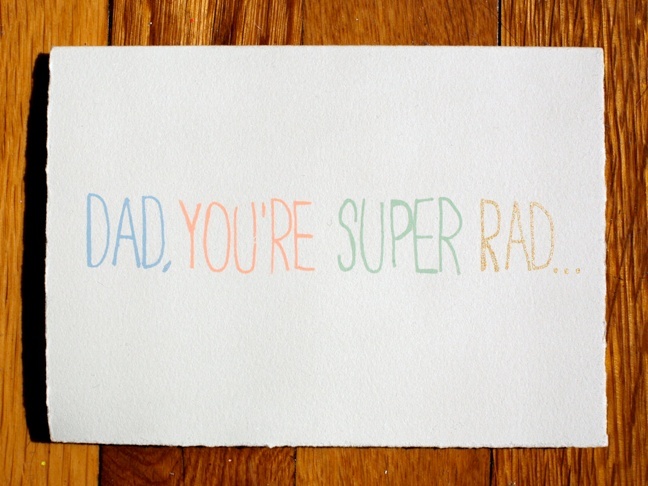 No worries–we've got you covered with a selection of super cool cards for your pop. 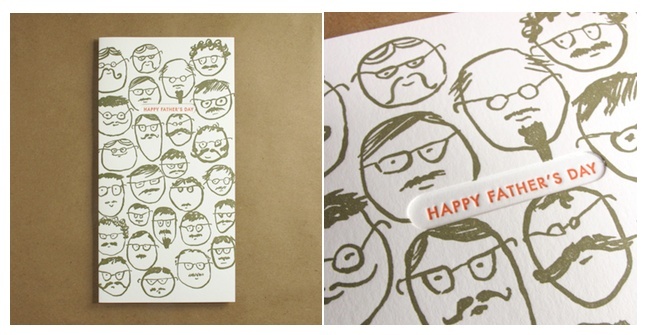 Who wouldn't feel totally awesome opening one of these cards from Etsy seller Jill K in LA? 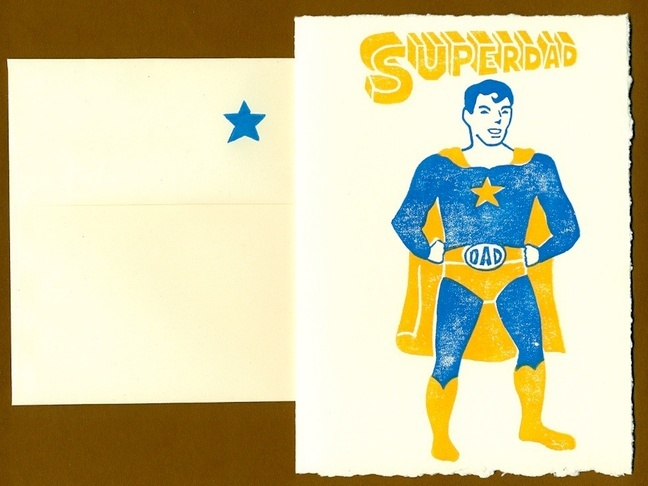 Up top, the SUPERDAD Card ($6) followed by the World's Best Dad Card ($6). 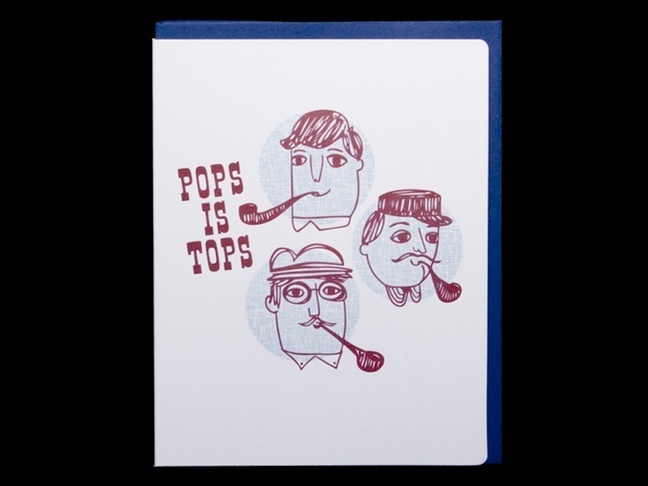 Pops is rockin' the pipe on the Pops is Tops letterpress card ($4.50) from Dude and Chick's shop on Etsy. A die-cut window reveals the message inside the Sea of Dads letterpress card ($6) from Egg Press. Send dad a wood card! 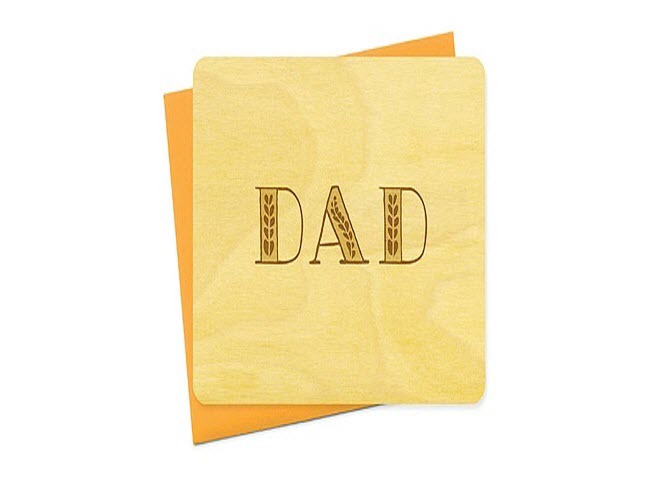 The Leafy Dad wood card ($6) from Night Owl Paper Goods is manly enough for dad, but cute enough to be from you.